Beta-amyloid (Aβ) peptides derived from amyloid precursor protein are found in human cerebrospinal fluid (CSF) and have proven to be informative biomarkers with respect to neurodegeneration, especially Alzheimer’s disease (AD). Quantification of Aβ peptides has proven useful in discriminating AD from other dementias and in staging AD patients with respect to the natural progression of the disease. 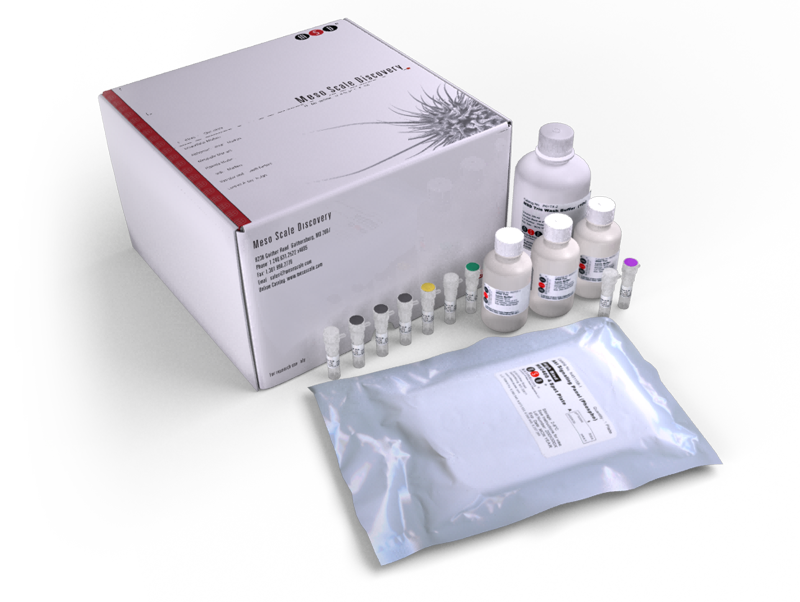 The Aβ40 Peptide (6E10) Kit provides a sensitive and efficient means to monitor changes in concentrations of Aβ40 peptide and has been validated for measurement in human CSF. This assay is also compatible with other sample types, including conditioned neuronal cell culture medium, cell lysates, and tissue homogenates such as transgenic mouse brain. The kit was developed according to “fit for purpose” principles and is consistent with guidance from the Clinical and Laboratory Standards Institute. This validated assay uses an Aβ40-specific capture antibody with the n-terminal, anti-beta amyloid (1-16) antibody (6E10 clone) as the detection antibody. The 6E10 clone is provided by Covance Research Products, Inc.
For the lot specific concentratio of each calibrator in the blend, refer to the certificate of analysis. A patient with posterior cortical atrophy possesses a novel mutation in the presenilin 1 gene. Cerebrospinal Flt3 ligand correlates to tau protein levels in primary Sjögren's syndrome. Cerebrospinal fluid Aβ levels correlate with structural brain changes in Parkinson's disease. Changes in Amyloid-β and Tau in the Cerebrospinal Fluid of Transgenic Mice Overexpressing Amyloid Precursor Protein. Development and implementation of a high-throughput compound screening assay for targeting disrupted ER calcium homeostasis in Alzheimer's disease.